Eyelash Extensions! They are THE accessory for so many women. No fuss, no smudge, waterproof, natural or dramatic, affordable and safe. Eyelash Extensions have become so popular that they are rivaling the monthly nail rebasing treatments at the best salons around. Take a close look at celebrities Nicole Kidman, Star Jones, Jennifer Lopez, Jennifer Love-Hewitt, Gwen Stefani, Lucy Liu, Naomi Campbell and Liz Hurley. They have been wearing extensions since the early 2000’s. Lucky for us, this “trend” is not just a trend anymore and not just for celebrities. As they have become more popular and recognized by the mainstream, licensed estheticians have been adding this skill to their resumes. They are a fantastic alternative and have gained tremendous popularity – with the rest of us – because of their natural look, ease of application, and yes, affordability. The extensions themselves are perfectly polished polyester points. They come in a variety of thicknesses, colors and degrees of curl. Extensions are applied one lash at a time with care and precision using special bonding agents for a completely natural look. Your natural lash turns over every 60 to 90 days and a new extension is applied to keep your lavish look fresh. These one hour Refining Applications are recommended every 2 to 4 weeks. When applied by an experience technician, the result is thicker, longer eyelashes that are safe in the shower, while swimming, sleeping or exercising. Individual eyelash extensions are vastly superior to the self-applied cluster, flares, or strip lashes commonly sold in retail beauty aisles. Individual eyelash extensions produce a completely natural but dramatic appearance when professionally applied by a trained esthetician. Your “lashscape” is designed specifically for you – suiting your facial features and lifestyle. The right combination of length, thickness and curl is needed to achieve your custom look – and that takes an artistic flare, experience and attention to detail. While a full set is coveted for weddings, holiday parties and special occasions, a demi-set is great for everyday. Lasting Looks now offers a Wink set – great for teens! *The Business Professional, for a polished image. *The Blushing Bride and bridal party, for a joyful celebration. *The Mature Retiree, to bring back the lashes of her youth. *The 20-Something, for a glamorous night on the town. *The Fitness Enthusiast, for looking great while working hard. *The Natural Blond, for dark, dramatic lashes. 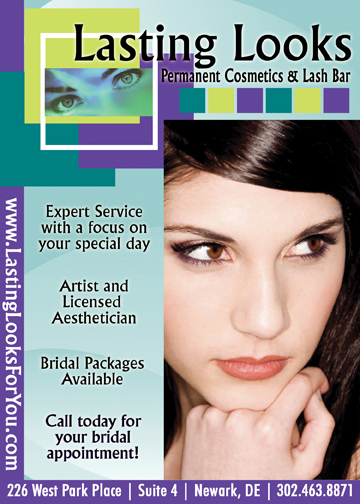 In 2006, after a 20 year corporate career, Melisa Ferriola opened Lasting Looks – a permanent cosmetics studio, lash bar and mini day spa located in Newark, Delaware. The Lasting Looks mission starts with the desire to empower women to take charge of their appearance and to put their best image forward. Melisa lends her talent in skin care and makeup artistry to bring out the very best in her clients. 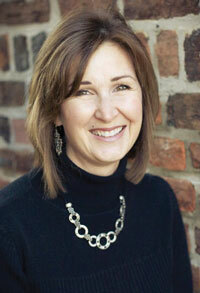 As owner and operator, Melisa personally ensures that every client receives private, exclusive care. Her artistic skills and attention to detail show through in every service she provides. “Not only is it a relaxing experience, but having hassle-free, long, thick lashes is priceless. Melisa is an expert technician who pays great attention to detail. Her patience and skill have given me a natural, yet enhanced look that makes me feel confident and polished. I love being a client of Melisa’s for many of her services. She is always professional and is a pleasure to do business with.” ~ Jen B. “I was thrilled with my lashes… I decided to have Melisa do my lashes before I went to Puerto Rico in the winter hoping that it would make the care of my makeup easier. Between the permanent makeup and the lashes I was able to add a little blush and lip gloss and I was set for the entire day. I was able to swim, shower, and lay in the sun and my lashes looked great. I was amazed at how long they lasted with the proper care.” ~ P.R. ← Previous Story Holiday shopping at Lady’s Image is FUN!